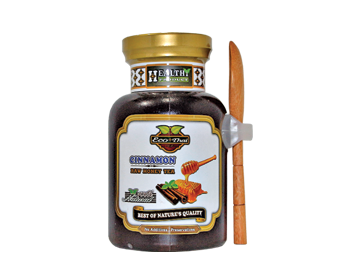 - Cinnamon is highly delicious and aromatic spice. - It has been prized for its medicinal properties for thousands of years. Modern research also indicates that cinnamon may have some beneficial to health properties. - It is anti-oxidant, anti-inflammatory, anti – diabetic, anti-microbial, immunity boosting, cancer and heart disease protecting ability. Eco Thai selects premium quality Ceylon Cinnamon (True Cinnamon) which is mild sweet taste and aromatic because the biggest advantage of Ceylon Cinnamon is ultra-low Coumarin levels which cause liver failure, hence, Ceylon Cinnamon is the preferred choice for daily consumption. Suitable for spread on toast, low heat cooking food or spoon it into a warm drink.